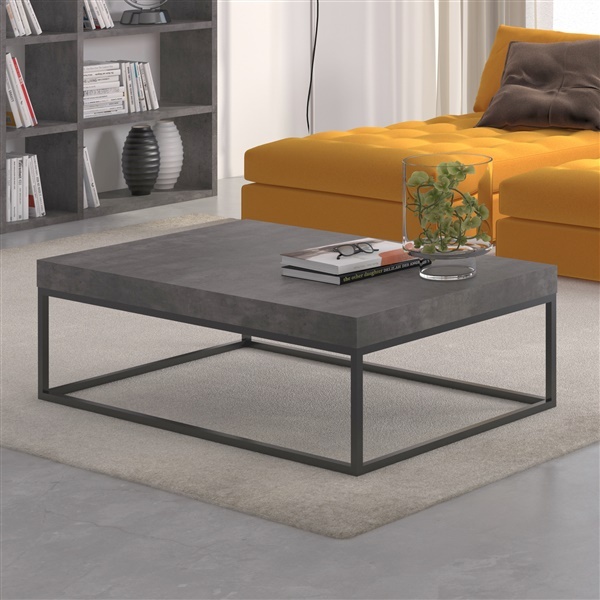 Functional in even small spaces, the Petra 47 x 30 Coffee Table provides a sophisticated, refined look in any modern living space. The open-design, metal frame is strong and supportive, while the tabletop is beautifully crafted from medium-density fiberboard using honeycomb core construction for added strength. To finish it off, the tabletop features a Faux concrete melamine finish, adding an elegant touch of class to enhance any room in your home.